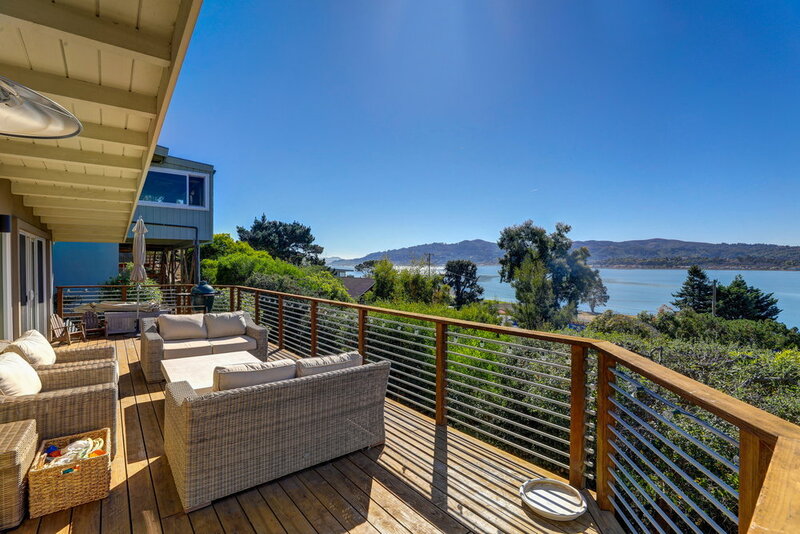 Take in the beautiful views of Richardson Bay, Marin Headlands and the tip of the North tower of the Golden Gate Bridge from this extensively renovated and rebuilt California beach contemporary. The crisp pallet, walls of windows and numerous skylights give this home a bright ambiance that exudes a sense of tranquility and relaxation. 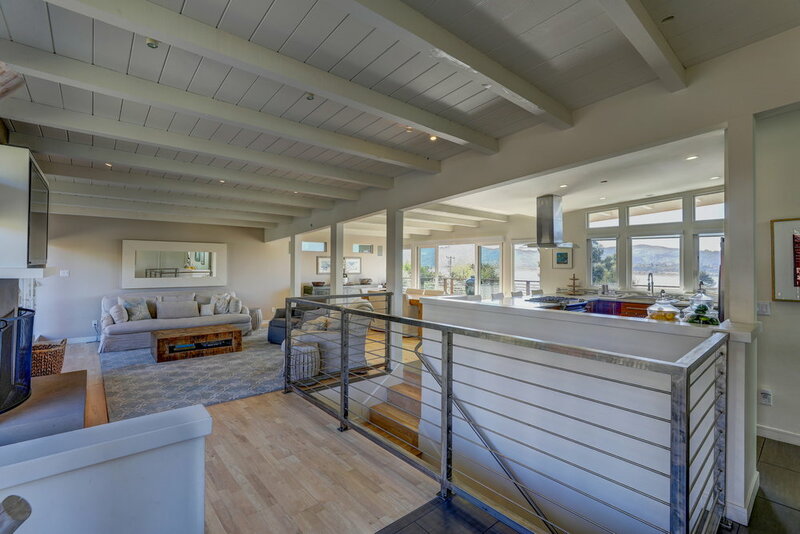 The open floor plan is ideal for entertaining with two oversized decks off of the main living areas, perfect for dining al-fresco while taking in the world-class views unique to Tiburon. In addition to the great kitchen/living/dining room combo are 2 bedrooms, 1 full bathroom, a luxurious master suite and a laundry room all on the main level. 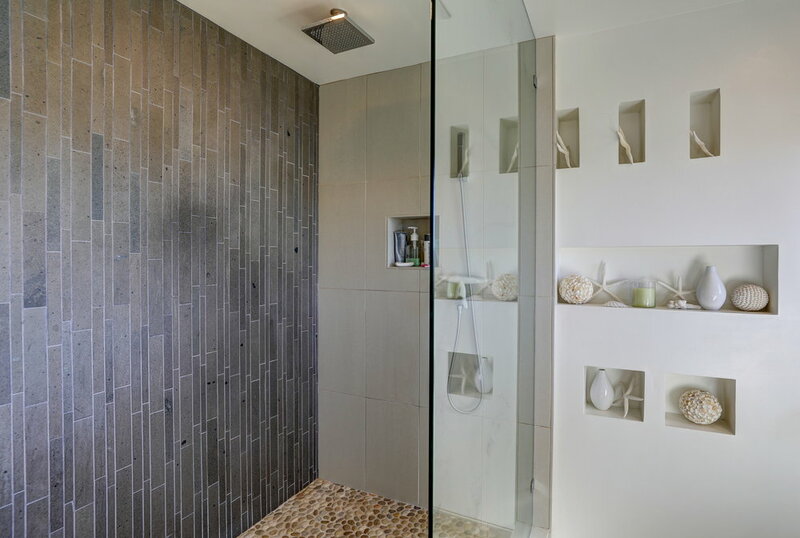 The master suite enjoys a spa-like master bath with 2 closets, one of which is a walk-in. 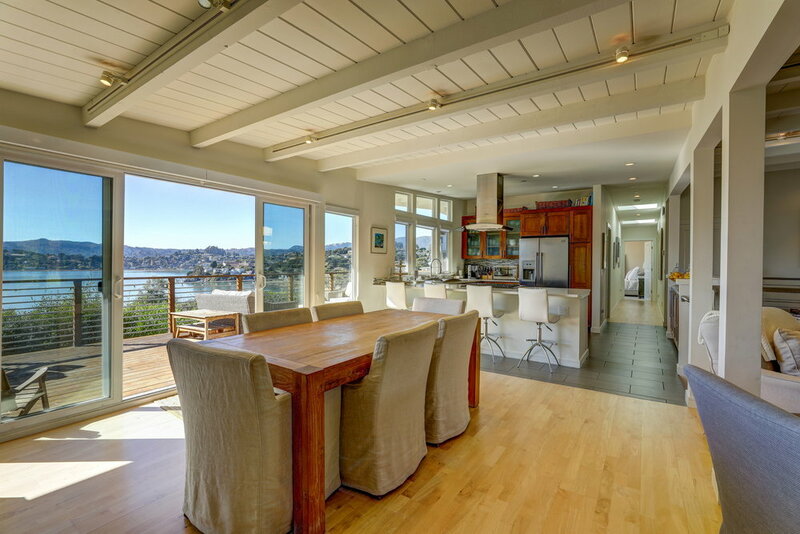 Additionally, the master suite walks directly out to a sunny deck with iconic views. The two guest bedrooms on the main level are very large and mirror the style of the main living areas with walls of windows and open beamed ceilings. 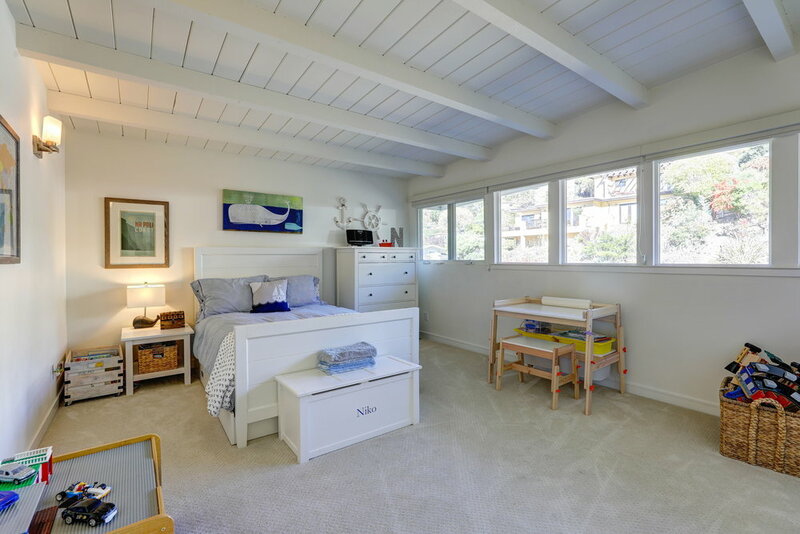 Downstairs is a large family room that walks out to the flat grassy backyard. 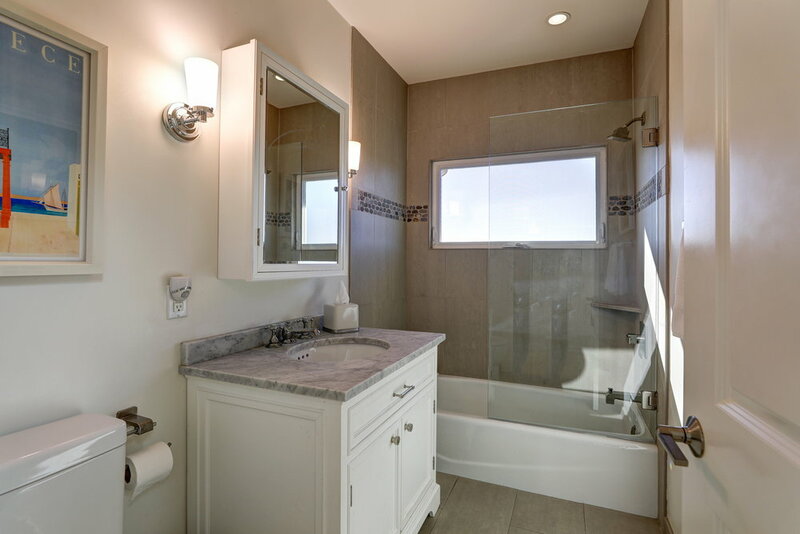 In addition to the family room are a 4th bedroom, 3rd full bathroom, a utility room and a huge 2-car garage. 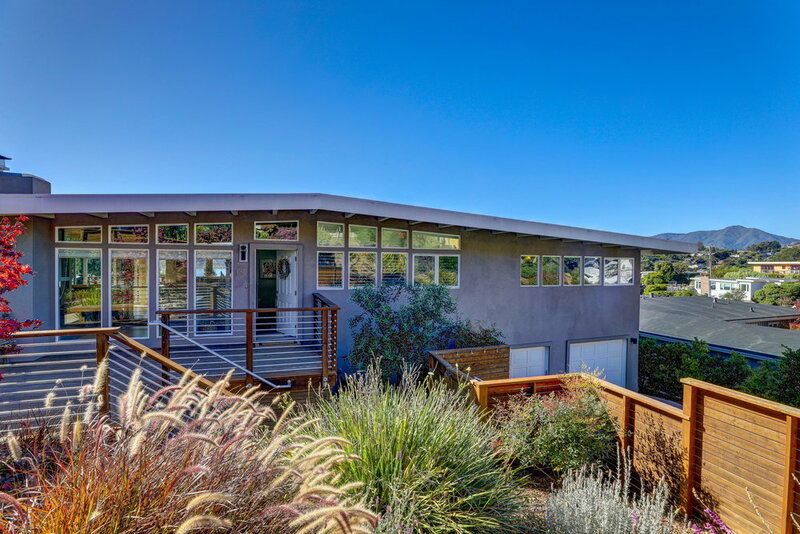 This property is ideally located within very close proximity to Blackie’s Pasture, McKegney field and the bike path to Downtown Tiburon. 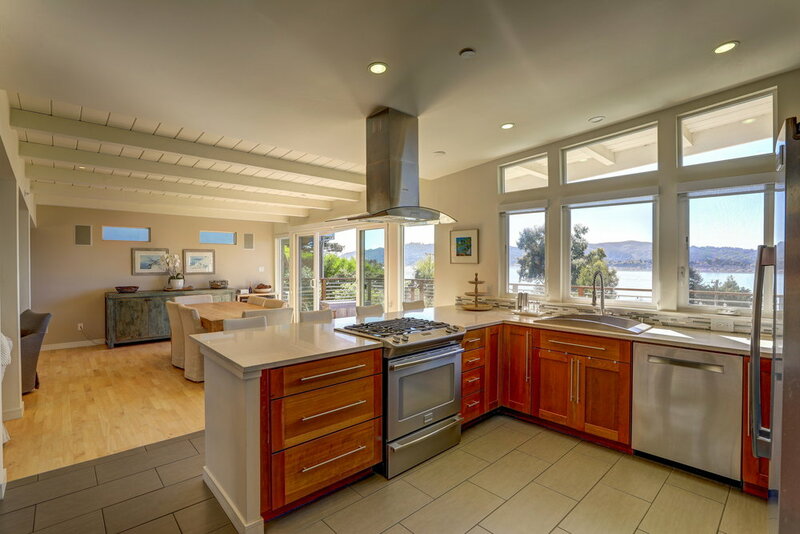 Located in one of Tiburon's most sought-after neighborhoods, 130 Stewart Drive is a remodeled California contemporary home with panoramic water views of Richardson Bay and Mount Tamalpais. 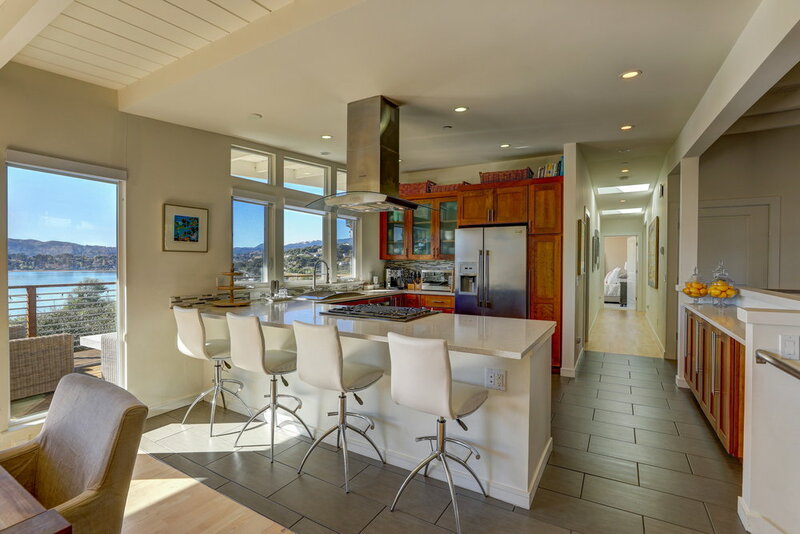 The open-concept floor plan was designed using high-end finishes, hardwood flooring, a crisp color palette and walls of windows off the kitchen, living and dining areas to maximize the stunning views and soak in natural sunlight. Ideal for entertaining, the dining area opens to a large Redwood deck spanning the back of home facing the water - making it an idyllic space to enjoy morning coffee or happy hour friends. In addition to the great kitchen/living/dining room combo are 2 bedrooms, 1 full bathroom, a luxurious master suite and a laundry room all on the main level. 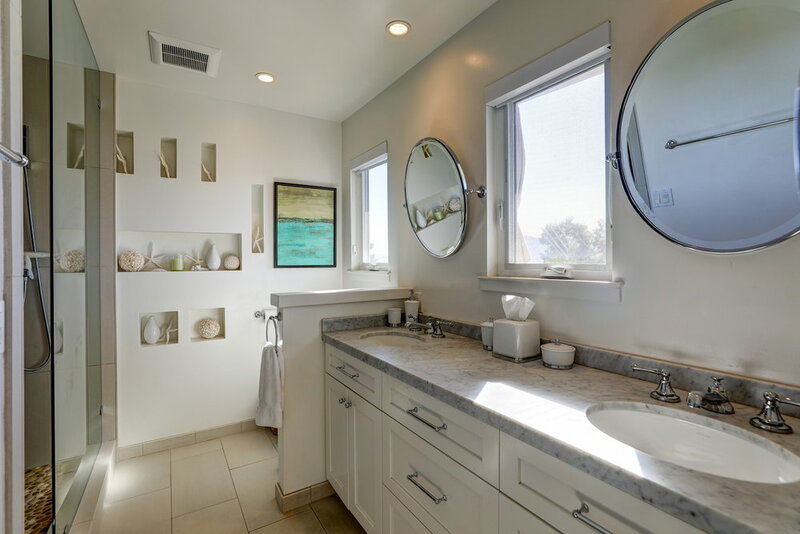 The master suite enjoys a spa-like master bath with 2 closets, one of which is a walk-in. 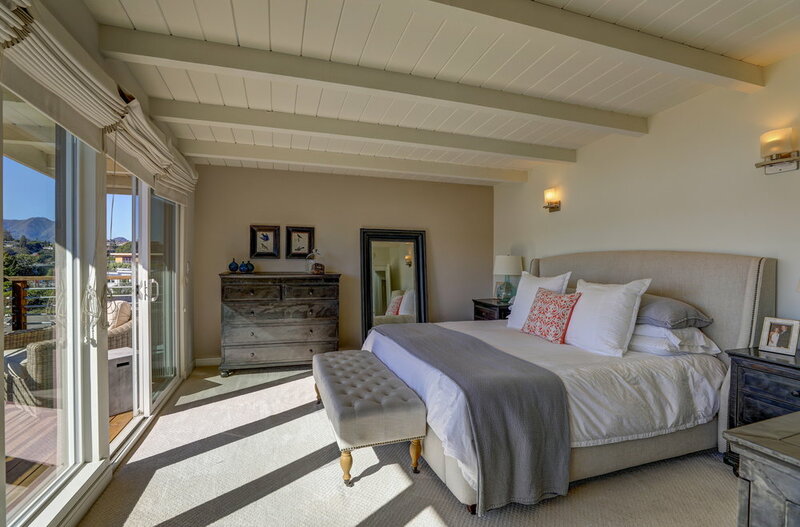 Additionally, the master suite walks directly out to a sunny deck with iconic views. 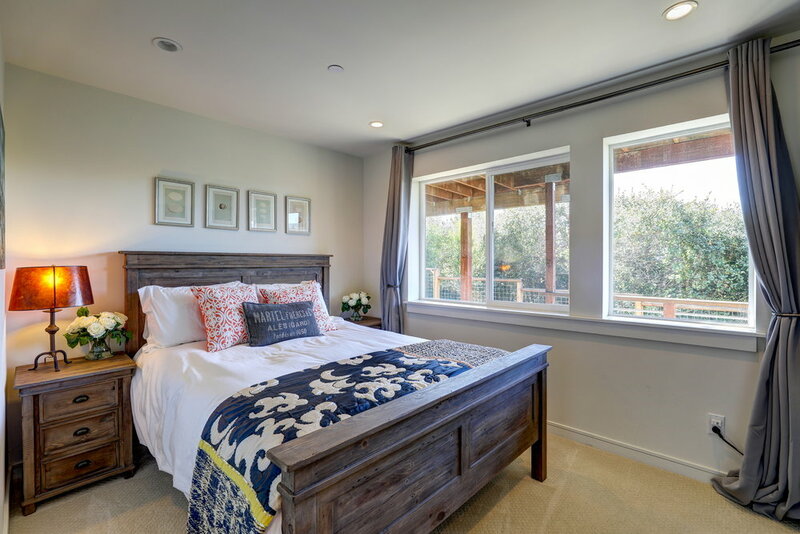 The two guest bedrooms on the main level are very large and mirror the style of the main living areas with walls of windows and open beamed ceilings. 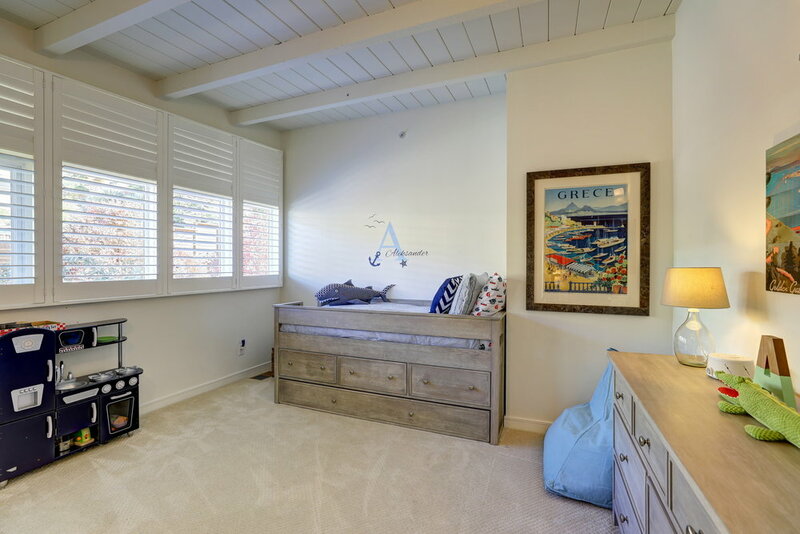 Downstairs is a large family room that walks out to the flat grassy backyard. In addition to the family room are a 4th bedroom, 3rd full bathroom, a utility room and a huge 2-car garage. 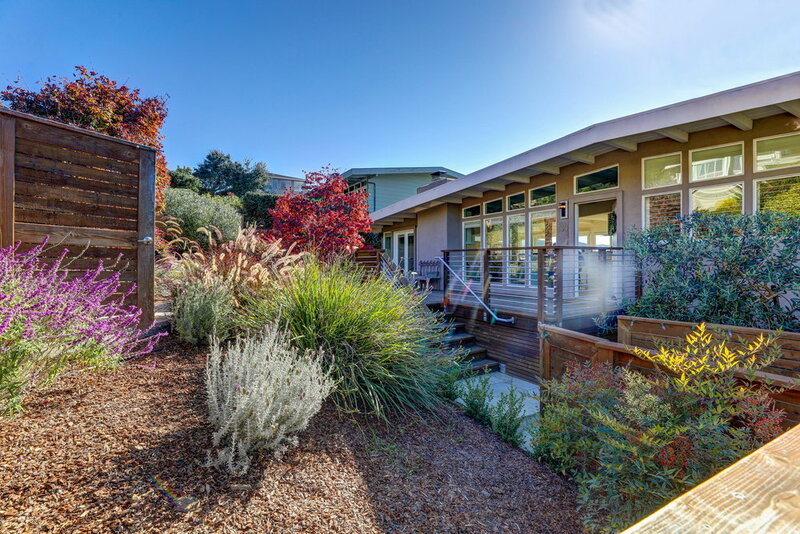 This amazing property is located in one of the most desirable neighborhoods of Tiburon and is within close proximity to award-winning Tiburon schools, The Cove Shopping Center, Blackies Pasture, the bay-front bike path and the Ring Mountain Preserve. 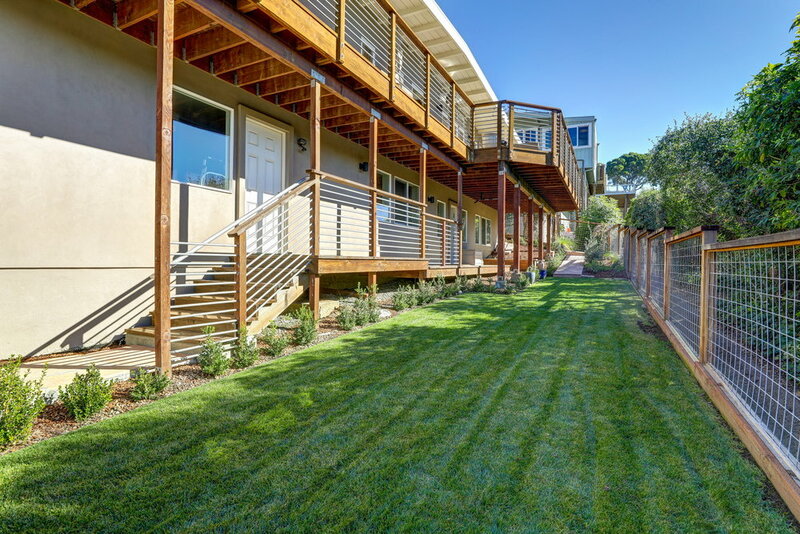 Only a short drive to downtown Tiburon, yacht clubs, ferries, Highway 101, public transportation and world-class hiking + biking trails.